Looks like SW3's resident love rat has got himself a new girlfriend. How he managed to convince another girl to go out with him has left us baffled - we're guessing she's never watched the show. 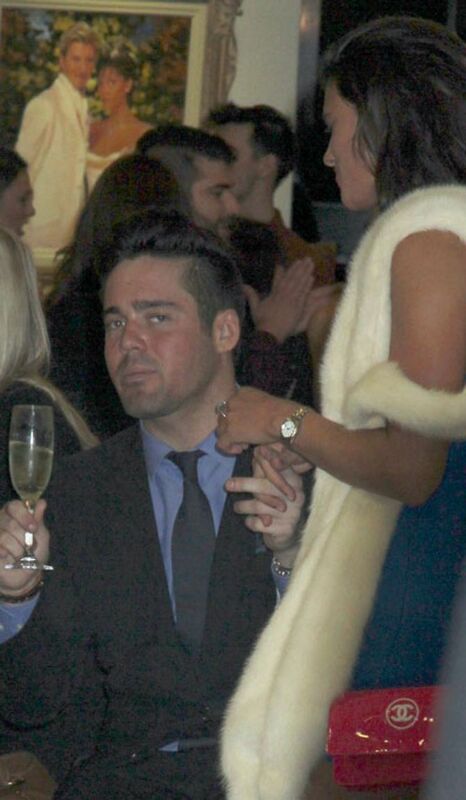 Made In Chelsea's Spencer Matthews has earned himself a fair few accolades during his time in the show - disrespectful towards women, arrogant, in need of a slap - and yet somehow he's bagged himself a model. Verity Chapman appeared on Spencer's arm last night as he took her out on a double date with best pal Hugo Taylor and his girlfriend. Only this week we saw Spencer questioning his relationship with Louise Thompson, his on-off girlfriend on the show. But as the programme is pre-filmed and we've seen what's coming up next week, it seems pretty clear that the relationship is doomed - and by the looks of her Twitter Louise is glad to be rid of him. Bad decisions make good stories... and I always have good stories. Although Spencer maintains he and the leggy brunette are just friends, they were photographed holding hands at the OK! Magazine 20th Anniversary Party. Louise and Spencer must have called it quits after yet another row over his cheating ways. He was revealed to have cheated at the end of the last series and has shown very little remorse since they got back together. Student Louise is also now rumoured to be dating co-star Andy Jordan, who had his sights set on her way back when she and Spencer were still madly in love. One of the MIC '"bois", Oliver Proudlock, confirmed the break-up to OK! magazine. He said: "I don't agree with the way Spencer treated her at all. "Their relationship was so hard to graft. I think he did have this kind of control over her. I think that it's the best for everyone that they're not together anymore." By the looks of things this stellar review of Spencer's skills as a boyfriend wasn't enough to put Verity off. Made In Chlesea's Spencer Matthews "confirms new girlfriend is Stephanie Pratt"